Welcome to week two of the Winter Blog Tour. My guest today is Kelley Heckart. 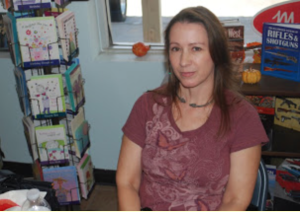 Kelley and I belong to the Lake Havasu City Writers Group so I’ve know Kelley for a few years. What I’ve pleasantly learned is that although Kelley resides on the earthly realm with her husband and two dogs, she always has one foot firmly planted in the otherworldly realm of mystical creatures, fierce warriors and magic. A psychic once told her she has an old soul and this comes across in her tales of long ago places. An avid reader, she turned her lifelong passion for Celtic Mythology into a way to express herself through writing. In her free time, she enjoys playing her bass guitar, writing poetry/lyrics, hiking, watching sunsets/sunrises and horseback riding. Hi Sharon! Thanks for having me on your blog. What is your favorite holiday food and why? Pumpkin rolls. They are yummy! You can have any person in history over for your holiday dinner. Who do you invite and what do you talk about? I would invite W.B. Yeats. I love his writings on faeries, especially Celtic Twilight. I would want to hear his stories of how he gathered all of his information on faeries. 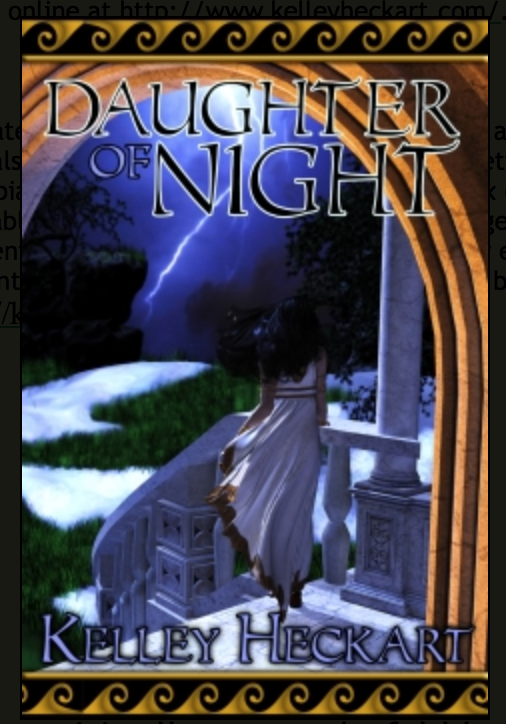 Kelley Heckart writes historical fantasy romances set in ancient on up to early medieval time periods. Her stories reflect her passion for history, storytelling and the supernatural. Inspired by the ancient Celts, her tales are filled with fierce warriors, bold women, otherworldly creatures, magic, conflict and romance. Kelley can be found online at http://www.kelleyheckart.com/. Please visit all our wonderful blog hop authors. Leave a comment and be entered to win a fifty dollar gift certificate! Regina Andrews – Holly Jolly Blog Tour – Week 3! Welcome to week three of our Holly Jolly Blog Tour. 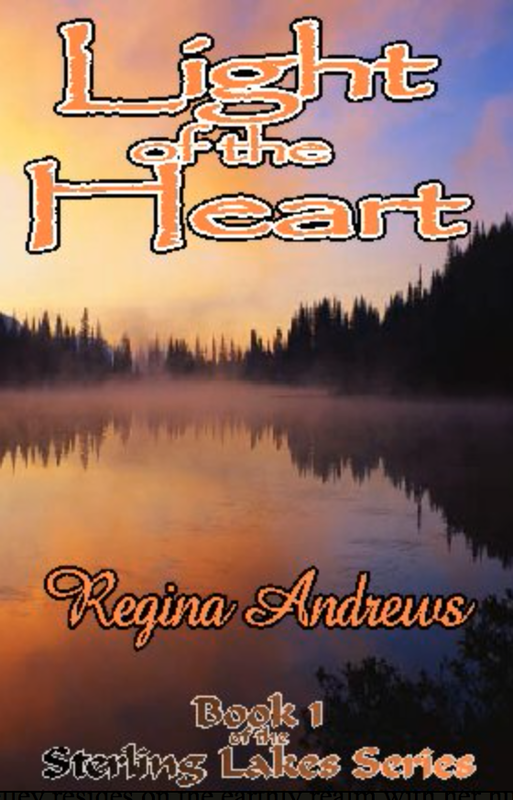 My guest today is Regina Andrews. So, let’s turn this right over to Regina and let her tell you a little about herself and then she’s going to share her thougts on Christmas gving and Christmas literature. Thanks for stopping by Sharon’s blog to spend a bit of time getting to know me! 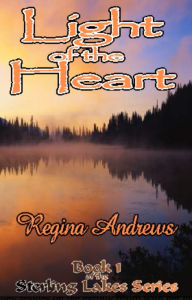 I am Regina Andrews, Inspirational Author – but that sounds kind of stuffy, don’t you think? Let’s try this — everyone calls me Gina and I love happy endings, I love writing, I love romance and I love God, so naturally I write romance novels with an inspirational point of view. After all, what’s life without a good dose of faith to carry us through those times when things are not exactly going the way we’d like them to be? I know I need it, most definitely. During the day I am lucky enough to have a full-time writing job at a national jewelry company, specializing in high-end designer and Estate pieces – I’m the one writing what you read about all these one-of-a-kind treasures! In my off time, I volunteer for the blind, work at the local children’s hospital and sing my heart out in the church choir. My hubby and I are proud ‘parents’ of a semi-feral cat named Queenie who really is in charge of the whole house. She loves Christmas — especially tinsel! — and so do I, so let’s get to the questions and kick off Week 3 of this fun and fabulous “Holly Jolly” blog tour! Which charity is most deserving of your holiday generosity and why? What is your favorite holiday tradition in literature? If I could count the Bible as Literature, then absolutely I would say my favorite tradition would be the theme of the quest for a home and, in a larger sense, the theme of the journey. By this I mean directly the way Mary and Joseph had nowhere to go and had to keep trudging along to find a place to stay. All they wanted to do was park it someplace for the night, to find a spot to rest. But they had to keep plowing along until there was a room – in a barn. They were very grounded, very rooted in reality and needed to stay put so Mary could have the Child. Similarly, but, actually almost the mirror image thematically, the Three Wise Men followed a star and traveled very far to find the Baby Jesus. They started out, traveling day and night. Following a star? How esoteric! Think about all this action – there was a lot of activity in that desert, lots of traffic! People roaming around to find a place to stay, others going out and embarking on a journey, and looking to find the real King. All this movement, and restlessness and unsettledness builds up the anticipation, of course, and the expectation. I think the common theme with so many different motives and unique backstories is why I love this tradition of the journey. Even today, we each take an individual spiritual journey every Advent. Now if I can’t reference the Bible as Literature, I’d have to go with gift-giving as in O. Henry’s “Gift of the Maji”. Oh, that still gives me shivers! ‘Nuff said, I’ve probably gone on too long J But the irony – oh! Ann Tracy Marr writes paranormal Regency romances. She may pretend to be a Christmas bah humbugger, but if she had $150,000 floating around, she would give the twelve gifts of Christmas as prizes for following this blog tour. (She would keep the ten lords a’leaping for herself.) Anyone up for French hens? Visit her at www.AnnTracyMarr.com . Are any of your books centered around Christmas? Tell us a bit about them please. Sorry, none of my books even think about Christmas. Maybe I should rewrite A Christmas Carol and make it more real. Less sappy. And for the New Year, of course: what are your 5 New Year’s writing/reading resolutions? Only one resolution applies strictly to writing. I am so much more than just a writer. 1. Chug along. Isn’t that what everyone does? 4. Relax and let it flow. And my wish for the New Year is for my daughter to marry the beloved son of a major publisher. That will get me a solid gold IN in the publishing world. No more rejection letters! Thank you, Ann, for this glimpse of you and your writing. For those of you who took the time to stop by, please leave a comment on these questions or share with us how you would answer them. Your comment might just win you a $50 Amazon gift certificate when we draw one lucky winner at the end of our blog tour. And, I’d like for you to stop by Christine London’s blog http://www.christinelondon.com/ and check out my answers to the above questions. Also, we invite you to visit the blogs of all the authors taking part in this Holly Jolly Christmas blog. Leave a comment for another entry in our fifty-dollar gift certificate drawing! Winter Blog Hop – Week Six – Holly Jolly Blog Festival – My guest today is Christine London. She’s a very clever author of exciting spicy romance reads and she often throws in a dash of British flavor. So, let’s turn this blog over to Christine. Hi Sharon. Thanks for hosting me this week. Question one requires a crystal ball, but let’s hope the desire behind it makes it comes to fruition! Here we goooooooooo…. So now it is June 2013: what have you accomplished since Christmas 2012? In a perfect world, I will have completed a book I began but never finished, sold the three books I have completed and/or self published them and be well on the way to publishing the eight short stories I have written about the tenants of one Nottinghill block of flats, 55 Portabello Road, a series. Realistically? Lucky to get one of those projects birthed. 55 Portabello Road is well on its way. Through the seasons of a year the residents of one block of London flats come to terms with the obstacles that have kept each of them from finding what makes life most precious— true love. What would you give Santa for Christmas other than cookies and milk? Orthopedic shoe, or should I say boot, inserts. Spending all night on his feet with all those precarious rooftop situations; the poor man must have aching feet. Good orthotics would make the world of difference! Merry Christmas, Santa and a good rest to you after the big night! Pregnant without a boyfriend and possibly without a roof over her head, if her miserable landlord has anything to say about it. She only has herself to blame. After all, hadn’t she sent the father of her unborn child packing? Happy New Year Baby? Hardly.